Google adsense is one of the most popular online advertising platform, popularly used by several bloggers around the Globe. No doubt, every newbie feel that the acquisition of an adsense account guarantees fast money to be made online. That mentality has been proven to be false in the revealed truth about The facts About making money online blogging. Two days ago, i received a mail from the adsense team, requesting me to partake in the Optimizing Adsense With Google course recently introduced. Without wasting much time, i opted in for the registration to quench my curiosity on what could be going on in this so called "Google Introducing Adsense Course. I went through the preamble and some important points to consider and later discovered some few facts about the program. With much keen interest to "How to increase adsense revenue," i couldn't help but go through a pre-course assessment to see if i actually understand the course better. Well, i don't take last, i did brilliantly well in the course. What Is The Course "Optimizing Adsense" All About? -- Better understand online advertising. Basically, these are the major scopes the adsense course is focused on. With much understanding in the Google adsense program, one can get deeper insights as to how to increase or maximize the number of clicks gotten daily. You will agree with me that now all adsense users know what is means to customize a chann, block ads, customize ads and even create interesting ads. This course is boned at letting you know what it means to have all these at centre of your palm. Benefits Of The Course "Optimizing Adsense." Several benefits are attached to it, such may include, having a certificate of completion from the Google adsense team as one that has a deeper understanding of the adsense programe, have the chance to improve or increase your adsense revenue, more rooms to learn and implementing stylish ads that will attract much clicks from users and a host of other things. You can try taking the course at the Optimizing Adsense With Google. 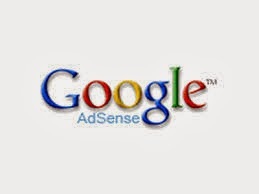 Are you new to the Google Adsense Programme? Let me know what you think of the course "Optimizing Adsense." Looking for how to let me know? then use the comment box below this post. I love reading your thoughts. Seems like It's an official course and I'll surely check it out. Yea Samir. You really have to check it out. It is cool. I have been running some little things over there, and i bet is sure gonna make more sense when you try it out. See you over there.